CM 11 Nightly based on AOSP Android 4.4 KitKat are going live now supporting various devices. You can now update T-Mobile Galaxy Note 3 to Android 4.4 KitKat based CM 11 nightly getting it all the best and the latest features and tweaks. Here is how to update T-Mobile Samsung Galaxy Note 3 to Android 4.4 KitKat! Note: this guide is only targeted at T-Mobile Samsung Galaxy Note 3; please to not try it on other variants. You can check these guides for Sprint Samsung Galaxy Note 3 and the Verizon Galaxy Note 3. In all cases, your Android device must be rooted to flash any custom firmware. Your Galaxy Note 3 must be installed with ClockworkMod or TWRP recovery tool. Files required: download CM 11 Nightly from this link. Also install GApps package on your Note 3. Also, install GApps package on your T-Mobile Note 3 from here. Power off your T-Mobile Samsung Galaxy Note 3 and boot it into recovery mode. Now from menu, select install zip from sdcard followed by choose zip from sdcard. 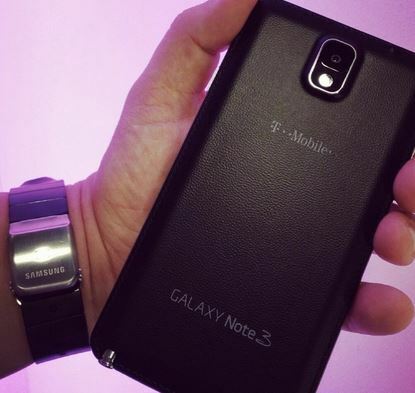 Locate the CM 11 Nightly Android 4.4 for T-Mobile Galaxy Note 3 custom firmware. Ta da! Your T-Mobile Samsung Galaxy Note 3 is now proudly running on the latest Android 4.4.2 KitKat based CyanogenMod 11 Nightly custom firmware!